Yu-Gi-Oh! TRADING CARD GAME Starter Deck: Codebreaker introduces the basics of Dueling with cards that are strong and easy to understand. New Duelists can learn the basics of Link Summoning using “CodeTalker” Link Monsters, then use this Starter Deck as a base to build their own unique Deck by collecting Cyberse monsters and “Code Talker” LinkMonsters from many different releases including Yu-Gi-Oh! TRADING CARD GAME Structure Deck: Cyberse Link and Yu-Gi-Oh! TRADING CARD GAME Extreme Force. To ensure Duelists have the tools necessary to ramp up those basic techniques and take Link Summoning to the next level, Yu-Gi-Oh! TRADING CARD GAME Starter Deck: Codebreakerincludes powerful additions like Linkuriboh, previously unreleased inLatin American and European territories! Link Monsters are the newest addition to the Yu-Gi-Oh! TRADING CARDGAME! 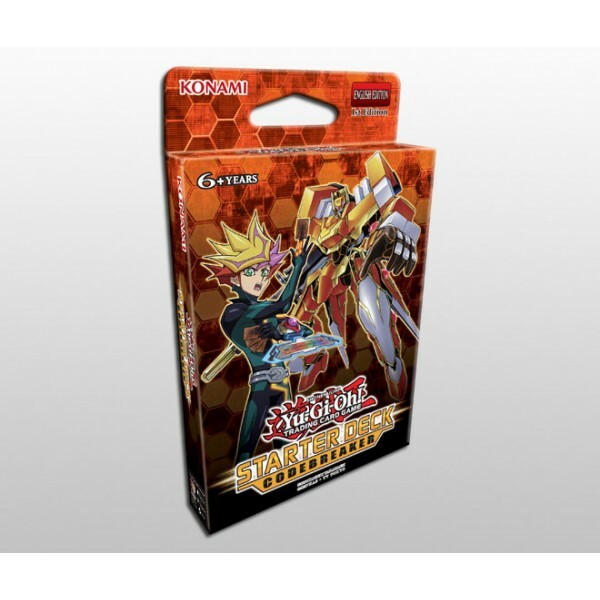 They offer Duelists a brand-new outlet to demonstrate their skills by mastering not just how they play their cards, but where they play them as well. These new monsters have become an integral part of dueling, and Yu-Gi-Oh! 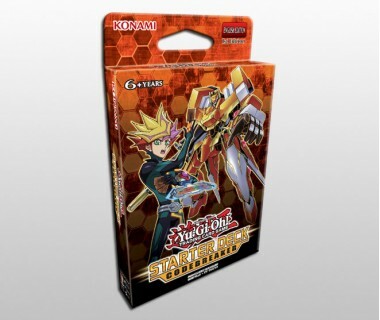 TRADING CARD GAME Starter Deck: Codebreakercontains 5 Link Monsters to give new Duelists a leg up in competition.